Unmistakable in appearance, the Brussels Griffon temperament is happy, comical, and intelligent. Their name is derived from where they originated in Belgium: Brussels. They were bred to hunt and kill vermin in Belgian stables. 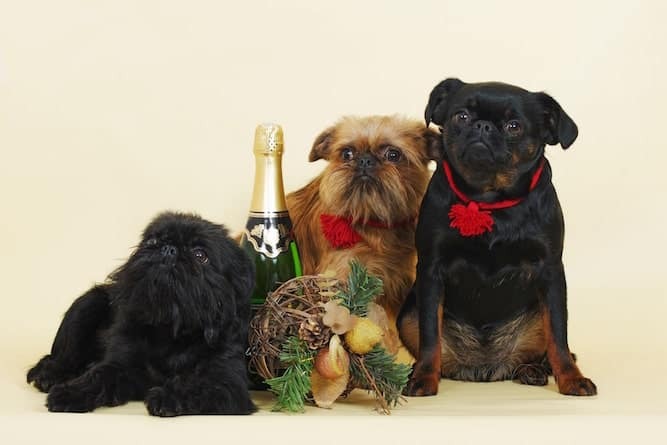 Brussels Griffons were created from several different breeds, including the Pug, Affenpinscher, and English Toy Spaniel. Brussel Griffons, also called Griffons, quickly became house pets and were eventually exported to England during the 1890s. Griffons found their way to America around the same time, becoming registered with the American Kennel Club in 1900. During World Wars I and II in the America breeding and keeping small breeds was too expensive. For that reason, the Griffon fell in popularity in the US. However, they remained popular in England. The Brussels Griffon dog is known for their sense of humor and human-like expressions. This breed is extremely intelligent and has a sense of self-importance that amuses everyone around them. The Brussels Griffon can be bossy and will try to run the household whenever possible. But they are actually big softies that love to be around their family. In fact, Griffons are quite needy when it comes to attention. They constantly seek their family's time and attention earning the nickname “Velcro dog”. Wherever you go, expect your Brussels Griffon to follow. Without attention and love, the Griffon will act out and misbehave in an attempt to get your attention. Similar to elephants, the Brussels Griffon has an excellent, long memory for events they interpret as “mistreatment”. That can be something as trivial as leaving them behind when you go to the store. When a Brussels Griffon is happy, they will play around the house or run around the yard in circles. Just for the sheer fun of it. Brussels Griffon dogs get along just fine with other pets. But, they are totally unaware of their small size and unintentionally put themselves in danger by challenging a bigger dog. Griffons are not the best breed for households with children. Since they prefer to be the center of attention, they may become jealous of children. And, sometimes young children can force their attention onto the Brussels Griffons – something they aren’t always a fan of! Brussels Griffons are known to be escape artists, so make sure you have a secure fence. Though Brussels Griffons are intelligent, they can be very stubborn. This is a breed that will not give in when they decide to do – or not do – something. And you can’t force a Griffons to anything, but you can make them think something was their idea. Brussels Griffon responds best to positive reinforcement training. Keep training sessions fun and short. Be consistent and always use food and praise as rewards. You can find good training tips from this online resource. If you are ready to add one of these little firecrackers to your family, be ready for loads of fun. You can find your perfect Brussels Griffon puppy by going to a breeder or adopting one from a rescue. Brussels Griffon puppies for sale can cost between $800-$1000 depending on which breeder you choose. Teacup Brussels Griffon Puppies for sale will cost around the same price. Teacup Brussels Griffons are categorized as smaller versions of the common Brussels Griffons. If you prefer adoption, your first stop should be the National Brussels Griffon Rescue website. Brussels Griffon rescue is great if you are looking to adopt an older dog or even a Brussels Griffon mix. If you are looking for a purebred (or almost purebred) Brussels Griffon, try a dedicated Brussels Griffon rescue. Stick with dedicated Griffons rescue if you are looking for Brussels Griffon puppies for adoption. They will have the most selection. You can also reach out to your local rescue or shelter and ask if they have any Brussels Griffon or Brussels Griffon mixes available for adoption. Read this guide to help you select a suitable health dog from a shelter. 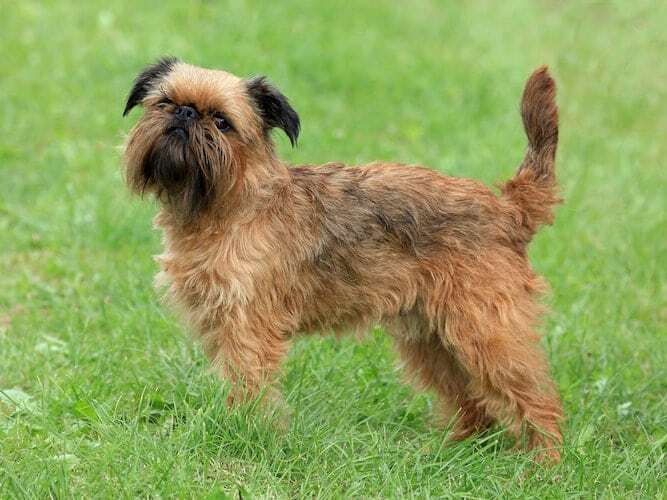 When choosing between Brussels Griffon breeders, make sure to choose one that is knowledgeable about the breed and can answer any necessary health and temperament questions. Reputable Brussels Griffon breeders will be willing and able to answer your questions about the breed. Good breeders will ask questions in return to determine if the Brussels Griffon is the right breed for you and your family. To find Brussels Griffon puppies for sale, you can look at the American Kennel Club website or the American Brussels Griffon Club. Both sites have information about the breed as well as information on breeders based on location. Brussels Griffons have a life expectancy of about 12-15 years and weigh between 8-12 pounds. They are considered a toy breed and only reach about 7-10 inches in height. The Brussels Griffon comes in two types: smooth coat and rough coat. A smooth coated Brussels Griffon needs weekly brushing and daily brushing during shedding season. An occasional bath will keep the Brussels Griffon smooth coat looking its best. A rough-coated Brussels Griffon does not shed. 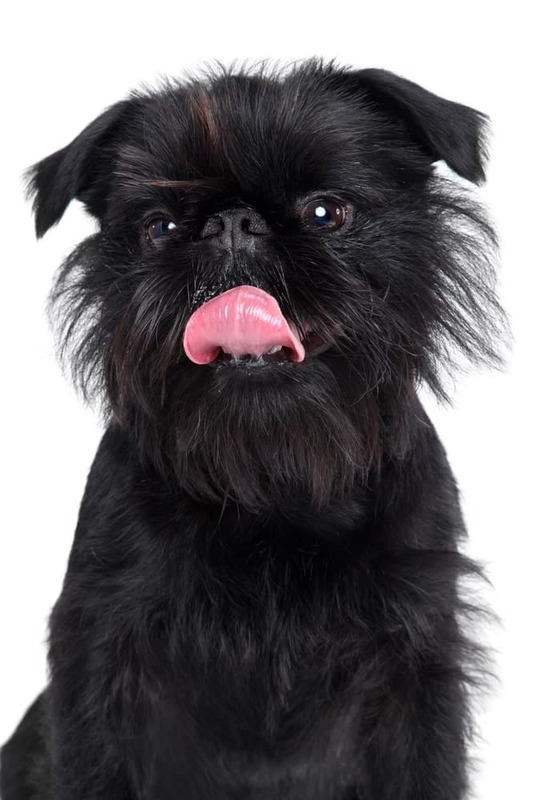 Most owners keep rough-coated Brussels Griffons’ hair clipped short – except for that unmistakable Griffons beard! Though small, Brussels Griffon needs at least a half-hour of exercise per day to stay healthy. They love to play and are happiest when they are doing activities with their favorite humans. A daily walk and game of fetch will make your Griffons happy. Also, their athleticism and intelligence make this breed great in agility and obedience. Star Wars fans will get a kick out of the Brussels Griffon Ewok resemblance. But even if you aren’t a Star Wars fan, this feisty, loyal breed is a great companion. Though they don’t do well with children, they will get along with other dogs and absolutely adore their humans. Their human-like, comical mannerisms are hilarious and their zest for life is infectious. Adding a Brussels Griffon to your family will keep you on your toes and certainly make life fun.